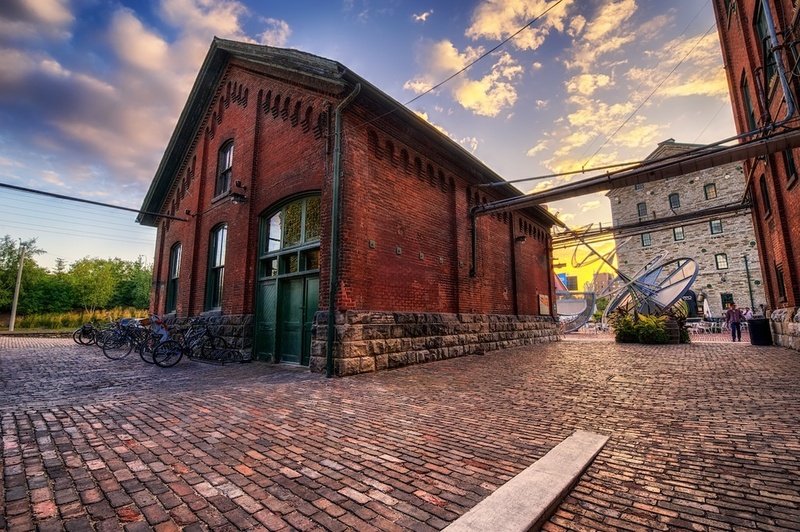 If you get to Toronto - visit the Distillery District! On my last trip up there, which was last year sometime, I took a cab over to the Distillery District, because I had heard of it and see a few pics, and I just like to check these kinds of things out for myself. It's fun to see new stuff, and of course to aim the camera at it! While I was there, I could see a wonderful sunset coming together, but I knew I didn't have time to get out of there and find another place, so I just went with it and enjoyed shooting there. I grabbed this one as the light was starting to fade. I was just wandering around the back streets there, since they are all brick. It provides a nice contrast to the soft light in the sky.